our public health and environmental protections. Eliminate and scale back the programs that protect public health and environment programs by slashing funding to both EPA and States. How would the Trump dismantlement agenda impact Colorado? The Trump Administration is attempting to delay enforcement of air quality standards for ground level ozone (smog),. Ozone is a trigger for asthma and other lung diseases. When inhaled, ozone smog can impair lung function, trigger asthma attacks, and aggravate conditions of people with bronchitis and emphysema, in some cases leading to premature death. Children, the elderly, and people with existing respiratory conditions are the most at risk from ozone smog pollution. Nationwide, some 116 million Americans are at risk to lung cancer, asthma, cardiovascular damage, reproductive problems, and premature death. In Colorado, 344,187 adults and 114,819 children have been diagnosed with asthma. Asthma attacks were the cause of 11,250 pediatric emergency room visits and $833 million in associated medicals costs in Colorado in 2008. The Colorado Front Range (Denver to Fort Collins) ranks in the top ten for high levels of ground-level ozone, after missing multiple deadlines to reduce ozone levels below regulatory thresholds. This map shows the distribution of asthma attacks in Colorado in 2016. EPA Administrator Scott Pruitt announced in June that EPA would delay the start date for the 2015 ozone standards until October 2018 (a one year delay), while EPA “reevaluated” the standard. After a number of States sued, Pruitt withdrew this illegal delay. In response to increasing numbers of asthma sufferers (especially children) EPA has focused more of its discretionary Indoor Air Program funding on asthma-related programs. All of these programs are eliminated in the Trump budget. Indoor Air Quality/ asthma management in schools. The Trump Administration is attempting to roll back air quality standards for methane and VOCs (Volatile Organic Compounds). These pollutants are part of the chemical creation that creates ground level ozone/smog. Colorado ranks seventh among the US States in total energy production: ninth in oil production, fifth in natural gas production, and eleventh in coal production. According to the Western Values Project (relying on BLM data), oil and gas companies currently hold over 1.5 million acres of non-producing leases in Colorado, and in excess of 650 unused federal drilling permits – a three-year supply, based on historic drilling rates. Peer-reviewed studies in Colorado, Pennsylvania, and Utah have documented elevated levels of harmful air pollutants in and around areas with oil and gas production, and have shown that oil and gas facilities are the source of this excess pollution.People living within 1/2 mile of an oil and gas production facility are particularly at risk from these pollutants. This map shows oil and gas production facilities in Colorado, the distribution of people living within 1/2 mile of those facilities, and their exposure to air toxics (by county). In 2017 there were 51,273 active oil and gas wells, compressors and processors in Colorado. 256 thousand people live within 1/2 mile of these facilities. 83 schools and five medical facilities are located within 1/2 mile of an oil and gas production facility. Six Colorado counties exceed EPA’s “level of of concern” for exposure to toxic air emissions: Phillips, Rio Blanco, La Plata, Yuma, Weld and Garfield Counties. Colorado began regulating oil and gas methane emissions in 2014. Until very 2016, there were no federal limits on methane and VOC pollution from the oil and gas industry. In June, 2016, EPA issued a final rule setting emission limits on methane & VOCs for the oil and natural gas sector. The federal rule was modeled after Colorado’s standard. EPA considered more than 900,000 public comments and held three public hearings before adopting this rule. The oil and gas industry could meet these emission limits using pollution control technologies that are cost-effective and readily available. In a survey done in Colorado1 gauging the industry’s reaction to that state’s methane rule, most -- seven in ten -- thought the benefits outweighed the costs and only one in ten thought that the cost was a lot more than the benefit to the company. On taking office as EPA Administrator, Scott Pruitt directed States to NOT enforce the new standards limiting methane and VOCs from the oil & gas sector. He has taken steps to legally delay implementation of this rule, and has stated an intention to “re-evaluate” the standard. Developing pollution control technology (RACT) guidelines for the oil & gas sector (leak capture equipment). Finalizing proposed standards for emissions of toxic air pollutants from petroleum refineries. “Air quality impacts from unconventional oil and gas activities” is dropped in the Trump budget. The Trump Administration is considering whether to reopen a 2012 health standard limiting emissions of mercury and other toxic air pollutants from power plants - even though power plants have already complied and are achieving large pollution reductions. Exposure to mercury and other toxic pollutants from power plants is associated with cancer and other serious illnesses. Airborne mercury can contaminate water. Eating fish contaminated with mercury (through) can interfere with nervous system development in fetuses and young children In Colorado, reducing mercury (and related toxics) from power plants creates $1.1 billion in health benefits for the state, saving up to 140 lives per year. Climate change is happening now. Colorado is experiencing higher temperatures for longer periods. If humanity doesn’t slow down its emissions of greenhouse gases, Denver could see a month of 100-degree days every year by the end of this century. “Fifty percent of our homes don’t have air conditioning,”Liz Babcock, manager of air, water and climate for the city Department of Environmental Health, said. And by 2050, typical summer temperatures are expected to match the very hottest summers that we saw in the late 20th century, according to a CU-Boulder and Colorado State University report." Vulnerable populations - the elderly, children, and those with existing cardiovascular and respiratory diseases - are particularly at risk. Economically disadvantaged and socially isolated individuals, are also at risk, in part because they lack access to air conditioned buildings. 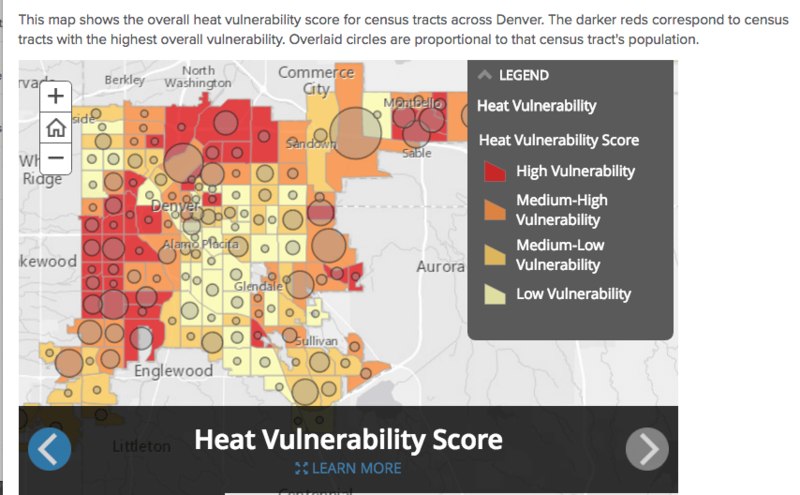 Denver’s Health Department recently released a heat vulnerability study for the Denver metro area. Rising temperatures are also affecting weather patterns, increasing the frequency and severity of extreme weather events - like flooding, tornadoes and hail. The hailstorm that struck the Denver metro area may 8, 2017 was the costliest natural catastrophe in state history, with more than $1 billion in losses, according to the Rocky Mountain Insurance Information Association. heat being recorded in the last couple of weeks. Catastrophic flooding that occurred in September 2013 in the northern Front Range was caused by a weather traffic jam: a cold front stuck over the Colorado mountains clashing with warm humid monsoonal air from the south. Climate modelers predict that events like this will increasing as the climate warms. Primary sources of CO2 are electricity generation (29%), transportation (27%), industry (21%), commercial and residential buildings (12%), and agriculture (9%). Carbon Dioxide (CO2) is produced from burning fossil fuels - oil, gasoline, natural gas and coal. It is the most prevalent greenhouse gas. 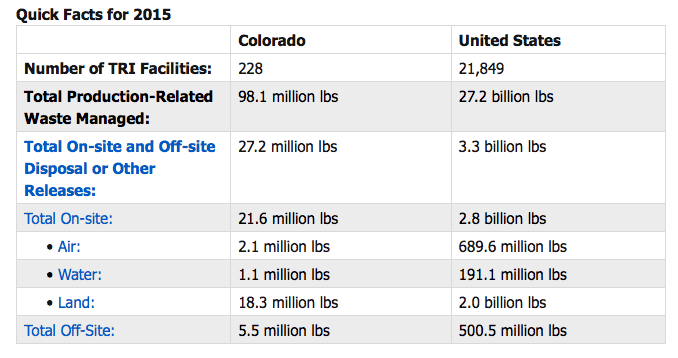 Colorado gets about 85% of its electricity from fossil fuels. Coal and natural gas-fired power plants together produce almost 85 percent of the electricity in the state. Coal-fired plants account for about 65 percent of the state’s generation and natural gas-fired plants account for 20 percent. EPA vehicle emissions control programs (which address both GHGs and conventional air pollutants) is cut by about 19%. School buildings have achieved an ENERGY STAR rating of 75 or higher that results in cost savings and improved indoor air quality. In Colorado, 344 schools have earned this ENERGY STAR rating with an estimated annual cost saving of $4.6 million. ENERGY STAR New Homes program saves Colorado consumers over $830,000 annually. ENERGY STAR’s Portfolio Manager database to track and publish their energy use. In Colorado, 922 buildings are ENERGY STAR-rated. The Trump Administration has announced plans to “withdraw” national emission standards for controlling CO2 emissions from fossil-fuel-fired power plants (the “Clean Power Plan). The Pruitt EPA is expected to open a rulemaking comment period their proposed rollback any day. The Trump Administration has begun legal procedures to weaken the climate pollution and fuel economy (CAFE) standards for cars, SUVs, and light trucks for model years 2021-2025. The House appropriations bill appears to provide funding for 14 of the voluntary climate programs that were proposed for elimination (including EnergySTAR). A rider that was added to the House Energy and Water Appropriations by Rep. Gosar (H. Amdt. 251) would block any consideration of the costs of carbon pollution on the rest of the world. This would bar the Department of Energy (DoE) from assessing and weighing the full costs of extreme weather or other climate impacts caused by our pollution, and the full benefits of any actions to improve energy efficiency or clean up carbon pollution. A rider in the House Interior and Environment appropriation (Sec. 417) permanently prevents the EPA from limiting [methane] pollution from livestock production under the Clean Air Act. A rider in the House Interior and Environment appropriation (Sec. 418) prevents the EPA from requiring the reporting of greenhouse gas emissions from manure management systems. 1According to the International Panel on Climate Change’s (IPCC) 5th Assessment (2013), the global warming potential (GWP) of methane is 36 times greater that CO2 over 100 years, 86 times greater over 20 years and 125 greater with feedback over 10 years. See https://www.scientificamerican.com/article/how-bad-of-a-greenhouse-gas-is-methane/ and https://thinkprogress.org/more-bad-news-for-fracking-ipcc-warns-methane-traps-much-more-heat-than-we-thought-9c2badf392df/ for more information. Colorado sits at the head of seven major river systems. On the Eastern Slope, the Rio Grande, North Platte, South Platte, Arkansas, Cache la Poudre, and Republican rivers flow toward the Atlantic Ocean. On the Western Slope side, the Colorado River flows toward the Pacific Ocean. There are 17 Colorado rivers with a drainage basin of more than 10,000 square kilometers/3,900 sq mi, (about three times the area of Rhode Island). Colorado has158 named rivers and 230 named waterways overall. Most of these rivers aren’t “rivers” by East Coast standards. They don’t carry huge volumes of water year round; many smaller streams come close to drying up in late summer/fall. But these water systems are critical to people, wildlife and ecosystems and Colorado and in other States downstream. Protecting small streams and wetlands is critical to Colorado’s recreational economy and the natural environment on which it depends. The U.S. Fish and Wildlife Service reports that in 2011, $3 billion was spent on wildlife recreation in Colorado, including $649 million on fishing. More than 2.3 million people participated in these recreational activities in Colorado in that year. The Clean Water Act does not contain a clear definition of which “waters” (rivers, streams, lakes, wetlands etc.) are protected by federal law. The U.S. Supreme Court has considered this question several times, and created confusion by providing several different interpretations of which “waters” are protected by federal law. In 2015, EPA (and the Army Corps of Engineers)1 finalized a new rule to more clearly define which “waters” are protected under federal law. The Clean Water Rule (“Waters of the U.S.” or WOTUS rule) definition of protected waters is based on hydrologic science. It recognizes the real-world connectivity between large volume, “navigable” waters and smaller non-navigable streams and wetlands. The Clean Water Rule protects tributary streams and wetlands that have impacts on downstream water. It clarifies, but does not expand, the Clean Water Act’s historic coverage. EPA estimates that two million miles of waterways and millions of acres of wetlands are protected by this rule, affecting drinking water for 117 million Americans. In addition, EPA estimates that the rule will provide at least $339 million and up to $572 million annually in benefits to the public, including reducing flooding, filtering pollution, providing wildlife habitat, supporting hunting and fishing, and recharging groundwater. Before finalizing the Clean Water Rule in 2015, EPA held more than 400 meetings with stakeholders across the country, and published a synthesis of more than 1200 peer-reviewed scientific publications. This scientific review showed that the small streams and wetlands protected by the Rule are vital to larger downstream waters. More than one million people commented during the Clean Water Rule’s rule-making process. Small upstream waters have great impact on larger waterbodies downstream. The Trump Administration is taking steps to remove rescind (eliminate) the Clean Water Rule and narrow the definition of which “waters” are protected by the Clean Water Act. Because so many of Colorado’s waterways are small, Colorado would be especially hard hit by this rollback and re-definition. The definition favored by the Trump Administration would only protect“navigable waters.” This definition would exclude thousands of miles of smaller streams and millions of acres of wetlands all across the U.S. - including most of Colorado’s waterways. Since many of these smaller waterways are in the headwaters of larger rivers, pollution from these excluded streams would inevitably impact “navigable” waters downstream. A rider in the House Energy and Water Appropriation (Sec. 108) would allow EPA (and the Army Corps of Engineers) to repeal the 2015 Clean Water Rule without going through the legally required process. A similar rider was included in the House Interior and Environment Appropriation (Sec. 431). A rider in the House Interior and Environment appropriation (Sec. 434) would prohibit EPA from writing any rule that would require the largest industrial animal farms (Concentrated Animal Feeding Operations, or CAFOs) to properly store, transport, or dispose of their wastes, including the hundreds of millions of tons of manure they generate annually. CAFO wastes contain dangerous pollutants that can increase the risk of birth defects, infant deaths, diabetes, and cancer. When not handled properly, CAFO wastes endanger drinking water sources and pose a particularly severe risk to rural communities reliant on well water. A rider in the House Energy and Water Appropriation (Sec. 107) exempts certain discharges of dredged or fill material from environmental review, overruling a Clean Water Act directive that discharges that would cause specified harms must be permitted. A similar rider was included in the House Interior and Environment Appropriation (Sec. 430). A rider in the House Interior and Environment appropriation (Sec. 433) blocks EPA from implementing, enforcing or finalizing the requirement that hard rock mining sites carry insurance to cover possible environmental damage. This provision will likely leave cleanup costs to the taxpayers under Superfund instead of making the responsible party pay for the damage they caused.program), which can be extremely expensive, if the companies become insolvent. The Gold King Mine is typical of thousands of similar abandoned mine sites across the West dumping tons of heavy metal contaminants into water systems every day. 1EPA and the COE share responsibilities for permitting and enforcement of certain parts of the Clean Water Act. EPA provides funding and technical assistance to communities engaged in restoring and revitalizing urban waterways and the surrounding land. This is a partnership program, including state and federal government agencies, businesses, community groups and other local partners. The South Platte Urban Waters Partnership is one of the programs supported through the Urban Waters Partnership program. SPUWP is a collaboration of organizations, working across governmental and disciplinary boundaries with the aim is to protect and restore lands and waters in the South Platte River watershed. The partnership emphasizes stewardship and community connection, linking urban areas with forested watersheds and people with nature. This partnership involves more than 70 groups. Federal and state government, municipalities, universities, NGOs and private businesses all come together for the benefit of the silent partner, the South Platte River. Local or federal action alone is less suitable to handle the complex challenges surrounding water, resource protection and connecting people with nature. This partnership's diversity is its strength and includes a role for each individual, community, business and agency. The Trump Administration’s budget eliminates this program. Over half of people living in the US, and 99% of people living in rural areas, get their drinking water from groundwater supplies. Contaminated water can cause a variety of health problems, especially for children. 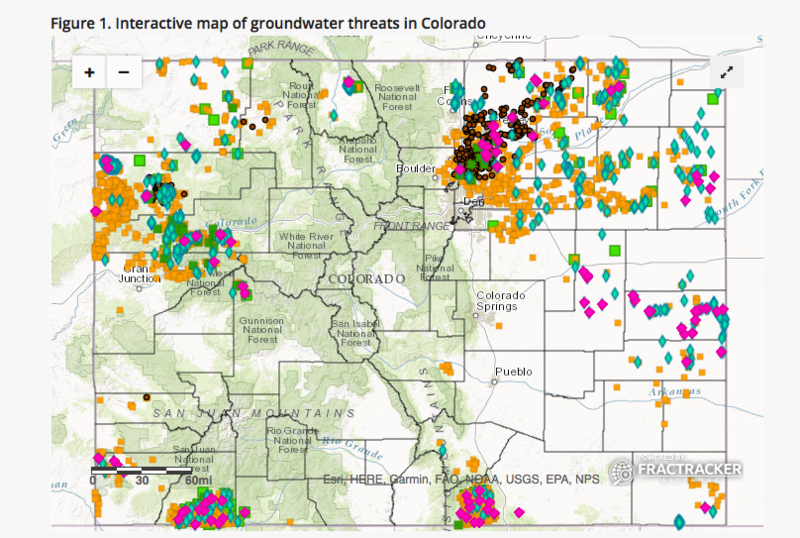 Numerous threats to groundwater are associated with oil and gas drilling, including hydraulic fracturing (fracking). EPA and States regulate industrial well drilling (including oils & gas wells) through the Underground Injection Control (UIC) program. 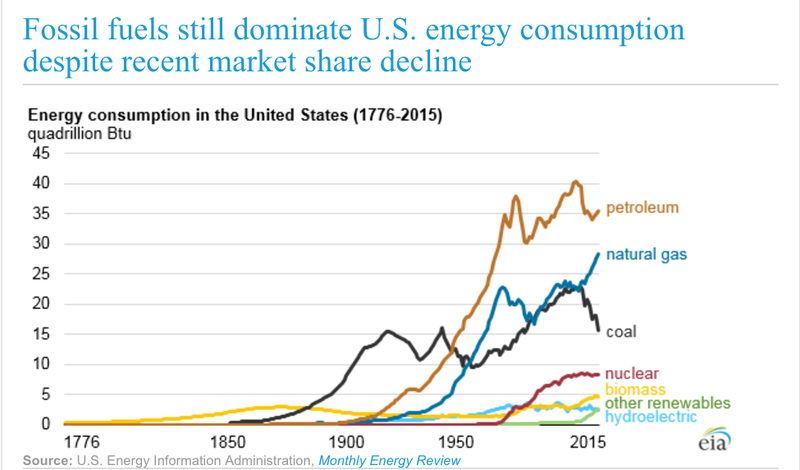 The dramatic increase in oil and gas extraction and disposal wells has increased workload to this program along with elevated threats to groundwater supplies. Research from other regions shows that the majority of groundwater contamination events actually occur from on-site spills and poor management and disposal of wastes. Disposal and storage sites and spill events can allow the liquid and solid wastes to leach and seep into groundwater sources. EPA and States regulate spills and waste management in the oil & gas sector through a variety of programs, including the the Underground Storage Tank Program, Oil Spill Prevention Program (aboveground storage), the Oil Spill Emergency Response Program, and RCRA’s1 hazardous waste management and corrective action programs. 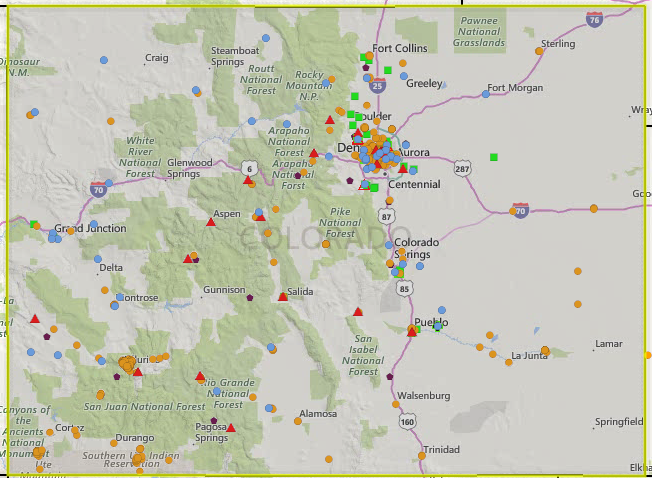 This map shows oil & gas related waste management sites in Colorado (both underground and aboveground) and spill locations. A study of the impacts of Hydraulic Fracturing (Fracking) on drinking water, and research devoted to unconventional oil and gas activities, were eliminated from the 2018 Trump budget. EPA’s best practices to protect drinking water from fracking have been dropped. 2I could not locate a specific dollar amount for cuts to EPA’s portion of the UIC program. EPA has multiple statutory responsibilities to respond to incidents where there may be exposure to hazardous chemicals, microbial pathogens, and radiological materials released through industrial accidents, natural disasters, or intentional sabotage. These programs include provide direct response and support to local responders to address risks to public health and environment from industrial spills, transportation spills chemical plant accidents. The Trump Administration reduces funding for emergency response across the board - even though threats are increasing from multiple sources (such as increased oil & gas production, extreme weather events and risks of sabotage). Superfund Emergency response program - reduced by ~20%. This (final) Rule was created in response to recommendations from the Chemical Facility Safety and Security Working Group following the 2013 fertilizer plant explosion in West, Texas. The RMP Rule requires larger facilities (such as petroleum refineries and chemical plants) to conduct root cause analyses following major releases or near misses, conduct third party audits following certain reportable incidents, adopt certain enhanced emergency response activities, and conduct safer technology and alternatives analyses some industrial sectors. This rule is part of a larger framework of ongoing process hazard reviews aimed at supporting local emergency responders. Following Scott Pruitt’s appointment as EPA Administrator, seven industry trade associations petitioned for reconsideration of the rule (American Chemistry Council, American Forest & Paper Association, American Fuel & Petrochemical Manufacturers, the American Petroleum Institute, USA Chamber of Commerce, the National Association of Manufacturers, Utility Air Regulatory Group). Pruitt has delayed implementation of the rule and taken steps to roll back requirements in the rule. The Chemical Safety Board is eliminated under the Trump budget. Toxics Release Inventory/Community Right to Know is the basis for EPA’s annual public report detailing releases of pollutants and toxic substances into air, water, and soils from approximately 20,000 industrial and federal facilities. 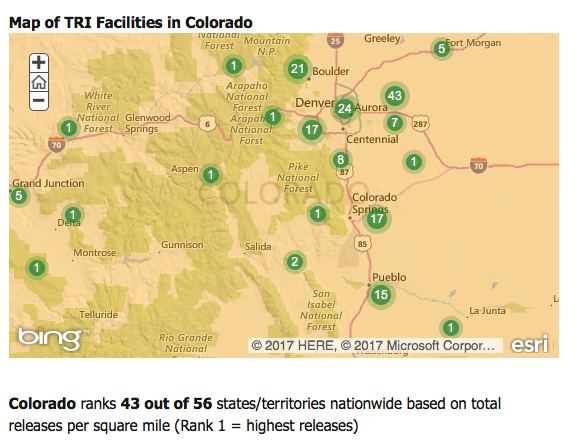 Colorado has 228 industrial facilities with releases large enough to trigger TRI reporting (see below). The Trump budget reduces funding for this program by ~ 38%. 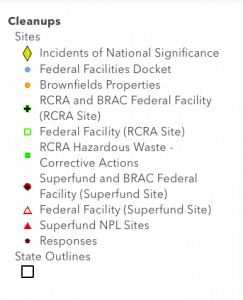 EPA manages three large cleanup programs: Brownfields, Superfund and RCRA Corrective Action (for active facilities with hazardous waste contamination). The Brownfields program provides funding (through cooperative agreements) and technical support to states, local communities, and tribes to assess and clean up smaller properties with industrial contamination. In Colorado, there are 446 brownfield sites, land contaminated and needing cleanup for re-use or redevelopment. TheTrump budget reduces funding for the Brownfields program overall by ~ 38%. There are presently 24 Superfund sites in Colorado (including listed sites and sites proposed for listing).1 This list does not include the Gold King Mine. Scott Pruitt has identified Superfund cleanups as his top priority. In early August, Pruitt announced that he would select 10 superfund sites and make sure they are cleaned up. There are presently 1,322 sites on the Superfund National Priorities List, with another 53 proposed for listing. Hundreds of additional contaminated sites are waiting for evaluation. The portion of the Superfund program that pays for “orphan sites” (those with no viable responsible parties to pay for cleanup, like Gold King) would be cut by 32%. The Superfund enforcement program (the “make the polluter pay” portion of the program would be cut by 48%. The Trump budget proposal reduces funding by ~ 14%. 121 sites are active (requiring cleanup; 3 are in O&M).